I went to congratulate the new store on their opening and I walked out with not just one or two products but a whole bag full!!! Let me walk you through my items. This is tub full of pink goodness! First off when you open the tub you expect a strawberry smell. Do not hold your breath cause for some reason I can not smell strawberry at all but it does have a unique pleasant smell. This does not foam up when applied but rather spread like a cream. It does not clog up your razor which is a big plus on my side. I will definitely repurchase this! This product is true to it's name. When you look at it and smell it, it truly seems bland. But the magic happens when you apply it to your face. 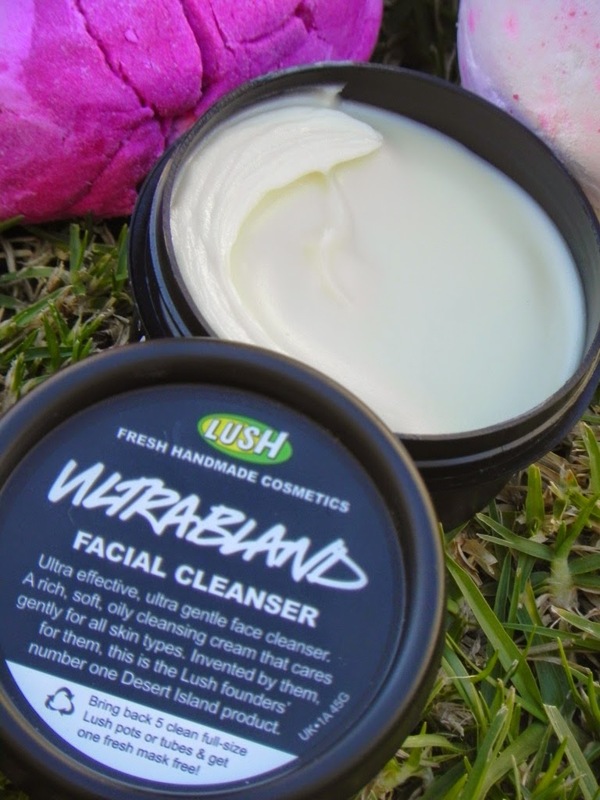 It melts all the make-up away and leaves the skin feeling soft. I have really looked forward to getting this and it has been on my wishing list for quite some time. 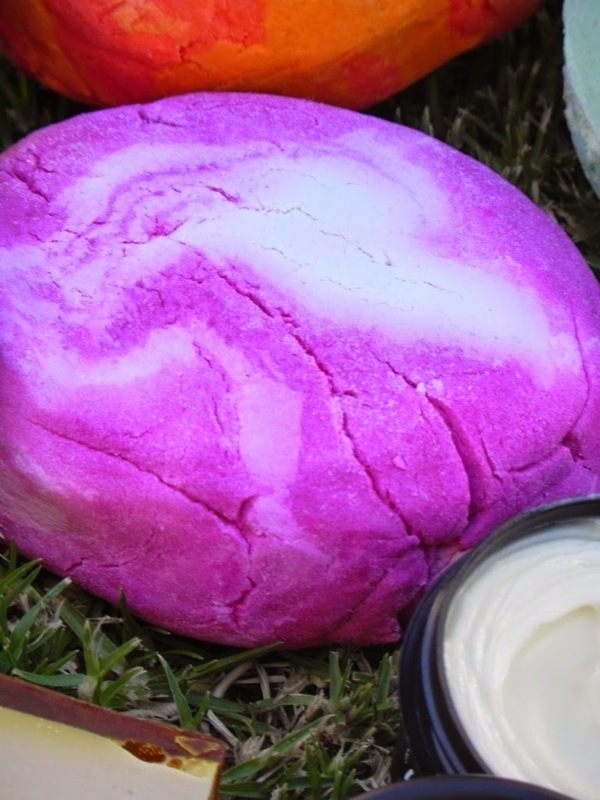 This bubble bar smells really fruity, with hints of blackcurrant and I want to say berry juice. 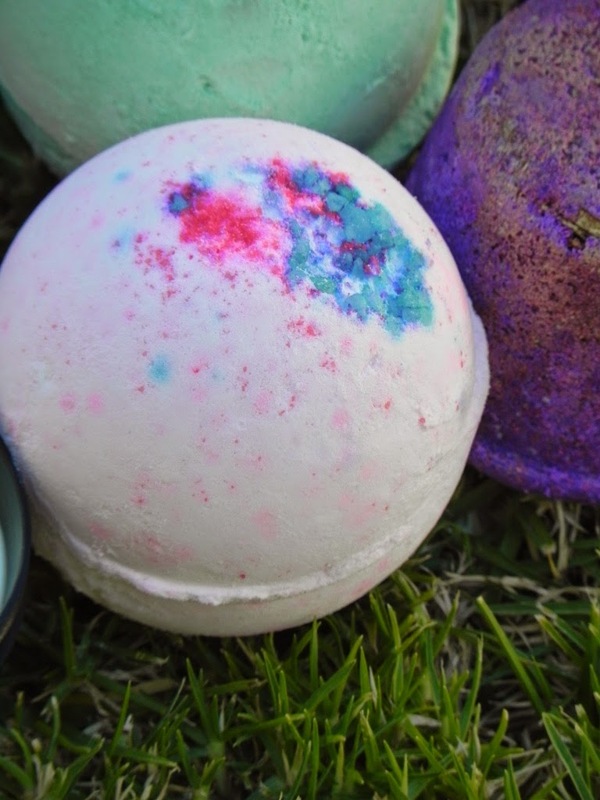 It leaves the whole bathroom and the rest of the house area smells amazing. 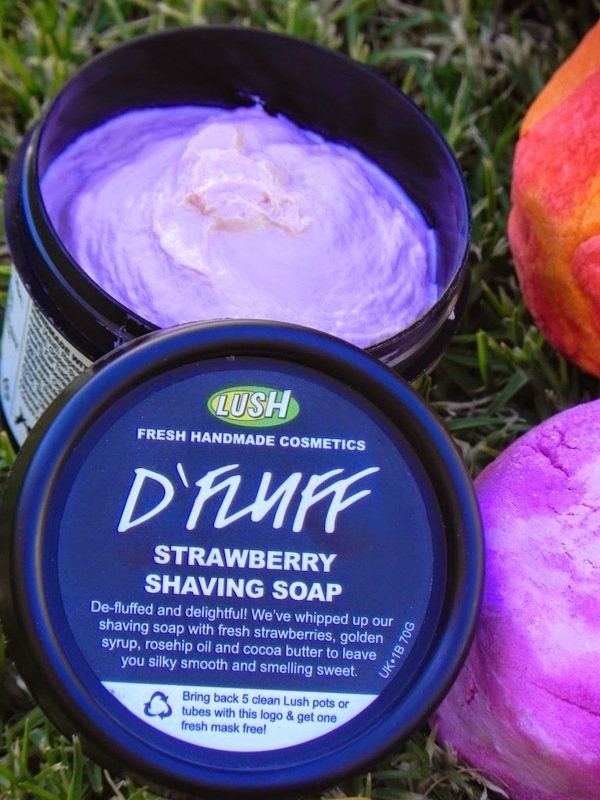 It leaves my skin feeling soft and my muscles relaxed. 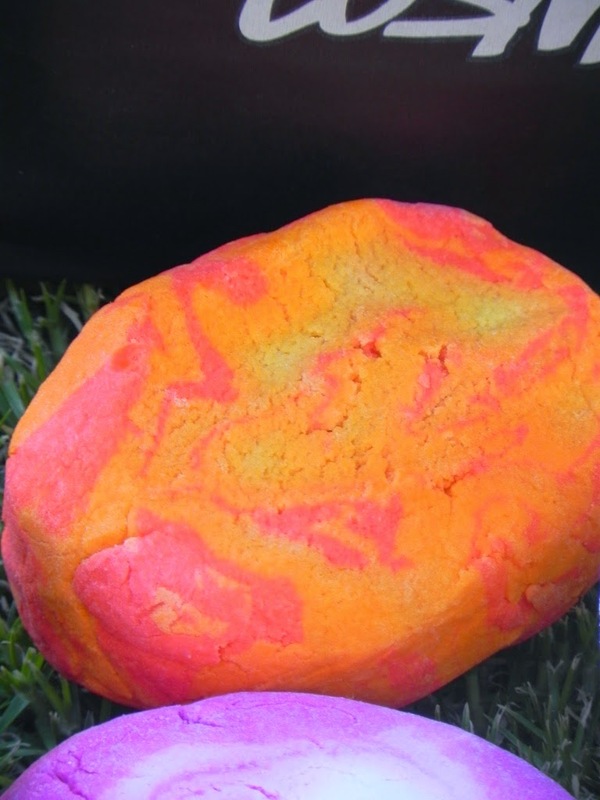 Like most of my bubble bars I cut this baby in 4 pieces to get as many baths as possible. This is the first time I used this bar and it shot straight to my favorite list. 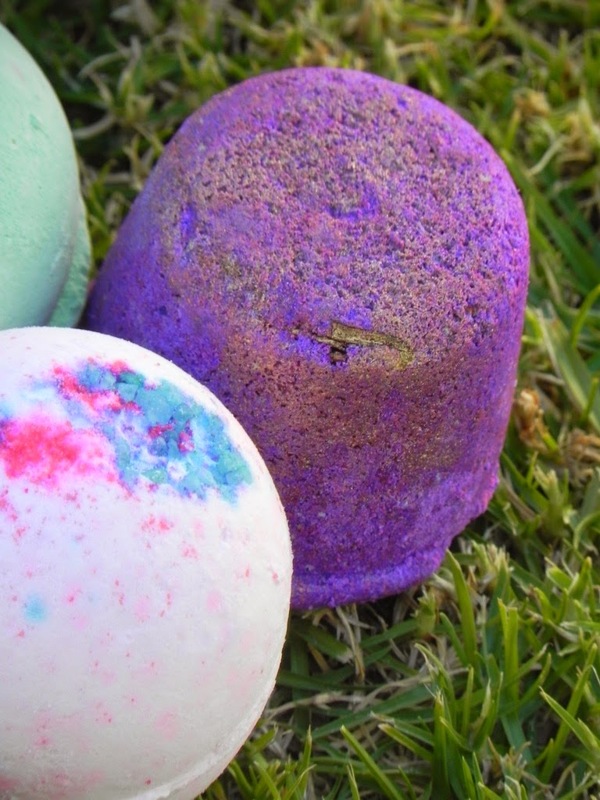 This is the purple ballistic in the picture. Apparently there is a surprise waiting inside (I think there is some green glitter). 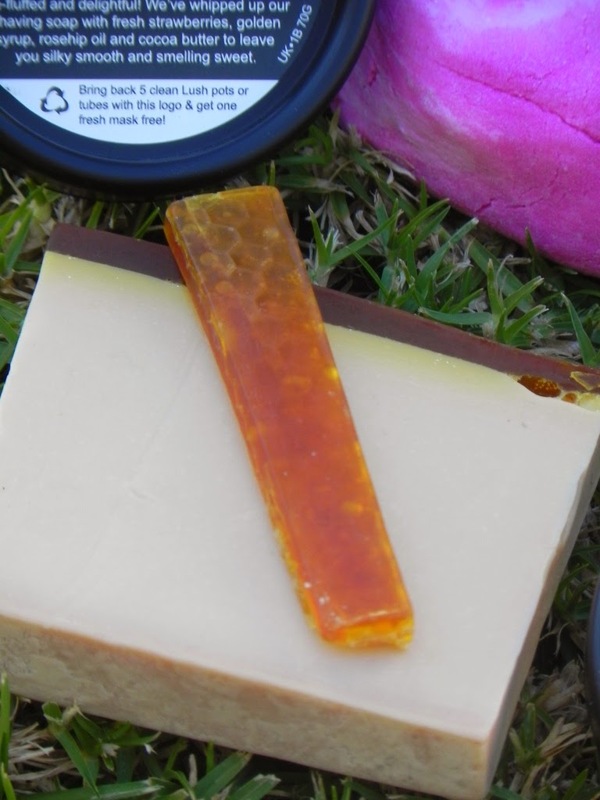 This smells a bit spicy but is filled with lots of ingredients to make your skin feel soft and taken care off. I can not wait to try this baby! This is described as "a celebration of spring". It has colorful crystals on the top as you can see in the photo. 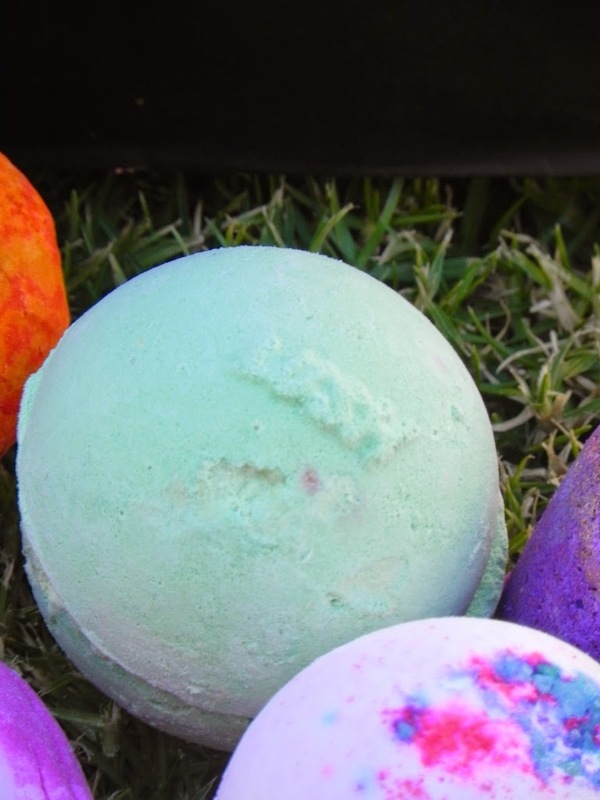 I presume that there is some more colorful bits on the inside as they are kind off peeking through.It contains sea salt for gentle exfoliation and Jasmine for stress relieve and relaxation. Im looking forward using this stunning ballistic. 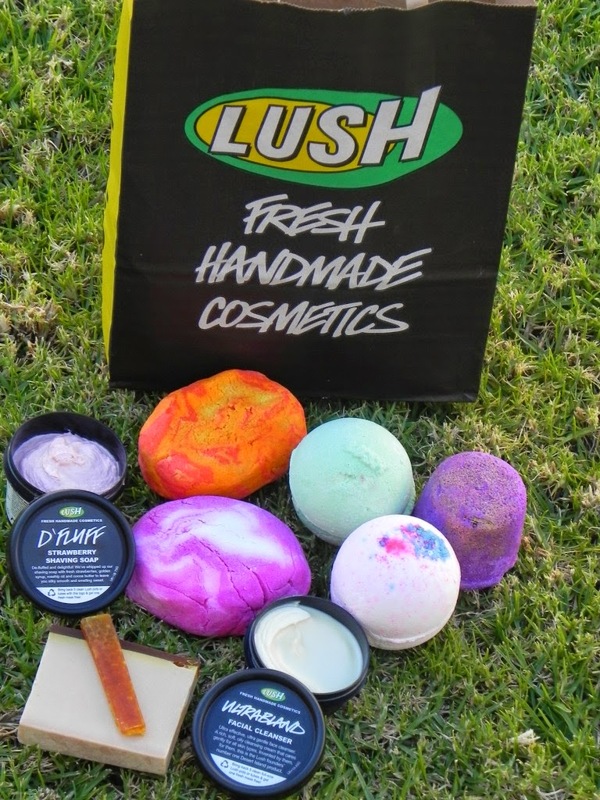 Do you love Lush just as much as I do? 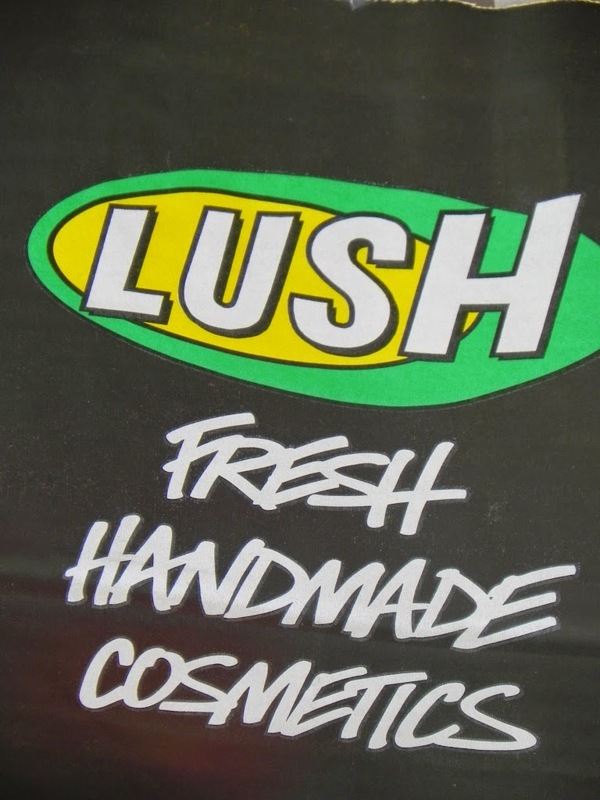 Let me know what is your favourite Lush product.